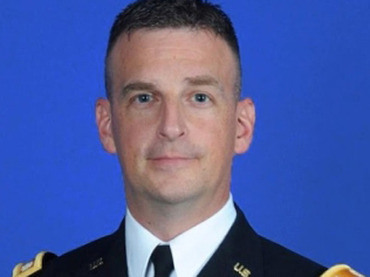 A high-ranking military officer is continuing to fight after losing his teaching job over complaints from Muslim groups about the content discussed in his class. Lt. Col. Matthew Dooley is a decorated Army veteran, who has served in the Armed Forces for nearly 20 years. He was also an instructor at the Joint Forces Staff College at the National Defense University, where Dooley was reportedly well-received. However, after the federal government received complaints from over 50 Muslim groups for teaching a course on “Perspectives on Islam and Islamic Radicalism,” he was given a negative Officer Evaluation Report — the equivalent of being blacklisted. Dooley states that his course had been approved by the military a number of years ago, and it was not until complaints were received that he was ordered to stop. The complaints that brought the matter to Dempsey’s attention, and to others within the government, came in the form of a letter that was sent to a number of federal agencies, including the White House and the Department of Homeland Security. As for Dooley, he fears that his career is over due to the issuance of the negative Officer Evaluation Report. “He will never have the opportunity for promotion unless this is overturned,” Thompson explained. In addition to the Thomas Moore Law Center, several United States Congressmen are defending Dooley as well. While Dooley is still able to serve in the military, he may not teach classes on Islam until further notice. He is also restricted from speaking publicly about his case.